In my house laundry piles up in the strangest places. The sweater than needs to be hand washed, the bright red shirt that will bleed when washed. I am sure that many of you have similar items at home. LG has created a way to fix these laundry pile ups with their new TwinWash system. The TWINWash with the SideKick pedestal washer is a small capacity washer that replaces a standard pedestal for your LG washing machine. It is perfect for a delicate load or the single item that needs to be washed quickly or alone. You can even use it simultaneously while you do a bigger load up top on your LG Front load washer. Disclaimer: I received the product described for free or reduced cost to facilitate this review. All opinions are my own. I cannot tell you how many times I have been cooking in my over and had a hot pad slip out of my hand or an oven mitt slide right off my hand. There have also been countless times that I have used a hot pad and bumped the top of my hand on an oven rack. OUCH! When I originally was given the opportunity to try out the silicone heat resistant gloves, I had no expectations. Once I used them, all of my oven mitts went in the trash and all of my hot pads turned into trivets for my table. I instantly fell in love. They slide on just like a glove and protect your hands from hot objects. No sliding off my hands and no bumping exposed parts of the hands on oven racks with these little babies! Oh did I forget to mention that these are dishwasher safe? OMG! Heaven! No need to worry about getting greasy goo in your laundry. Rinse them off in your sink and toss them on the top rack of the dish washer and you are good to go. Well, you may want to actually run your dishwasher too. There you go. 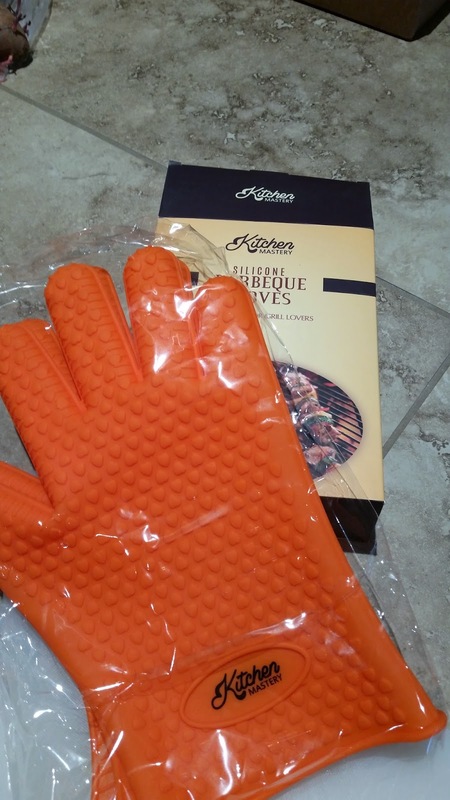 If you don't have giant hands and do not care that these amazing gloves are orange, these belong in your kitchen! ★ For Use on Hot Food in High Temperature In The Kitchen, Use As Grilling Gloves, Oven Gloves, Or Even Camping! ★ Far More Protection And Easier to Use Than Oven Mittens! When you purchase AYL Grips today, here is what you should do: When that awesome Amazon brown box arrives in the mail, rip that tape off, open it up and check out our cool packaging! And just wait until you get a feel for the Ayl Grips, there is nothing with more quality and durability than our BPA-Free, FDA approved 100% pure silicone - just waiting for you to be introduced to the kitchen and the grill! - The Most Popular Silicone Cooking And Grilling Gloves Available! Disclaimer: I received the product described below at a reduced cost or at no charge to facilitate this review. All opinions are my own and may differ from your own. Oh my god, where have you been all of my life? I have raised labs my entire life. And to answer your next question, Yes I am over 20! 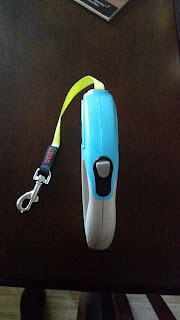 Needless to say, I had not started to leash train my puppy until I received the Growpetz Retractable leash. First off, all puppies get the leash clipped on and immediately go into reverse. I am not sure why, but they all seem to. My sweet little monster, err angel, was not even phased by this leash being clipped on. She sat like she did not recently rip open most of the flesh from my legs with her nails and razor sharp teeth just a few minutes before. Then she saw the flash of neon yellow and in her mouth went the leash. This is not a wrapped cord that those razor teeth will quickly shred. It is a nice nylon type material that is very well made and apparently holds up very well to sweet little angels that chew....a lot....with sharp teeth. 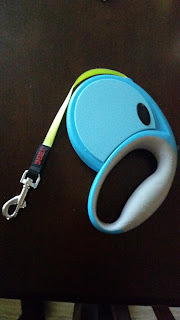 The leash itself is light weight and easy to handle. This makes it nice for even a young kid to grab and keep a hold on. Locking the leash is as easy as pushing the button. No fumbling required. I cannot say enough about this retractable leash. It may look similar to the one sold at your local store, but trust me, it is NOT. I have had many from the local stores that I no longer own because my dogs always seemed to be smarter that the person that designed them. This is one that will stay and might even multiply in my home. In my home I have heavy furniture. The is a set of marble topped tables in my living room and a glass top table in my family room. For some reason they seem to be magnets for my children, I cannot tell you how many times my kids have bumped into my coffee table or end tables causing little goose eggs to form on the little foreheads. It has been a never ending battle. First off, let me commend this company for knowing that not everything in my house is black and white. 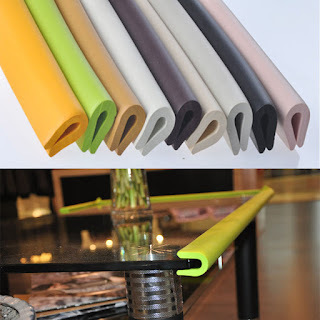 There is a full array of colors available to attempt to blend in, or even stand out from your everyday furniture. The edge guards are a soft foam material and easy to slide on to the edge of most surfaces. This particular edge guard is a "U" shape so it does not fit easily on to a wider surface. This really requires a thinner table top. It worked perfectly on my glass top table that is about 1/2 inch thick. It did not work well on my marble top tables that are closer to 2 inches thick. It was stretched a little to much and just did not provide the security that I was looking for on the marble table. The edge guards go on easily but that means they also come off easily. 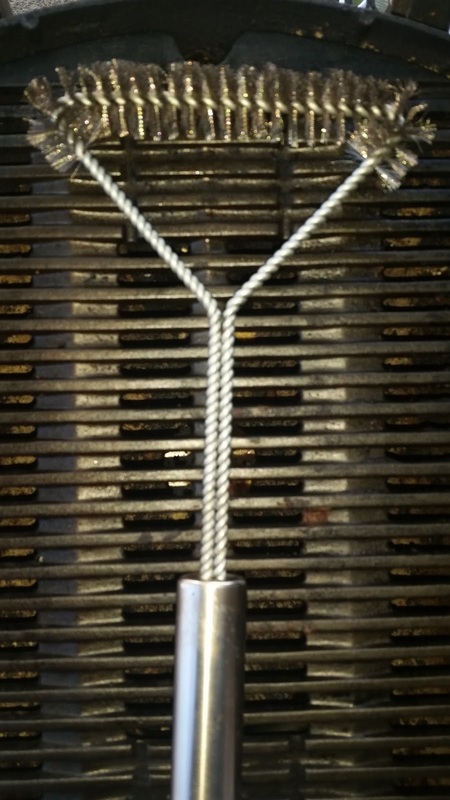 Little fingers grab and pull then the edge guard will end up being not so effective. I found that the opening (where the two ends meet) should be away from the reach of my children at all times. Less access o the opening, meant the edge guards stayed on. All in all, I think that this is great product to protect from unwanted bumps and bruises. i would like to see a way to keep it in place a little better though. The glass coffee table at home maybe one of the most dangerous furniture for the baby. This U Shape table edge protector guard gives you excellent impact absorption and protect your loved ones against bumps, bruises, cuts from hard, sharp edges and corners. With the 3M double side tape included, this product can be easily applied to the glass table. This product is completely toxic free, which is ideal for baby proofing purpose. Disclaimer: I received the product described below at a reduced price or free of charge. However, all opinions are my own. 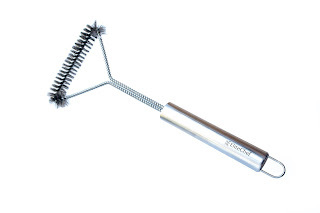 When it comes to cleaning my BBQ, I buy a new grill brush every spring. It never fails that I manage to gunk up my brush by the end of summer. Well, sometimes I am just flat out lucky that my grill brush lasts that long. 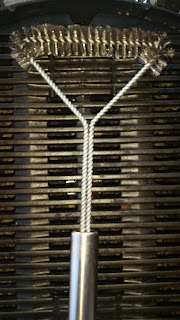 When I received the stainless steel grill brush from EliteChef, I figured it would be the next one on the garbage pile. But boy was I wrong. I handed the grill brush to my hubby, and I sent him out to our grill. First off, let me just tell you that my grill had been sitting all winter covered in grease and a few other things I am sure that I do not want to think about. The very first think out of my husbands mouth was, "This thing is nice! Look how clean the grill came." However, the first thing I did was look at the grill brush. I wanted to know what it looked like after scrubbing my 6 month old grime off of my BBQ. Needless to say, the brush held up better than well. It looked untouched. Okay, so there were a few greasy fingerprints on the handle. By the way, those fingerprints wipes right off. But, the bristles were still intact and were not smushed flat! I cannot say enough about how well this has held up to my caked on greasy BBQ and the absolute roughness that we have put it through over the last couple of weeks. 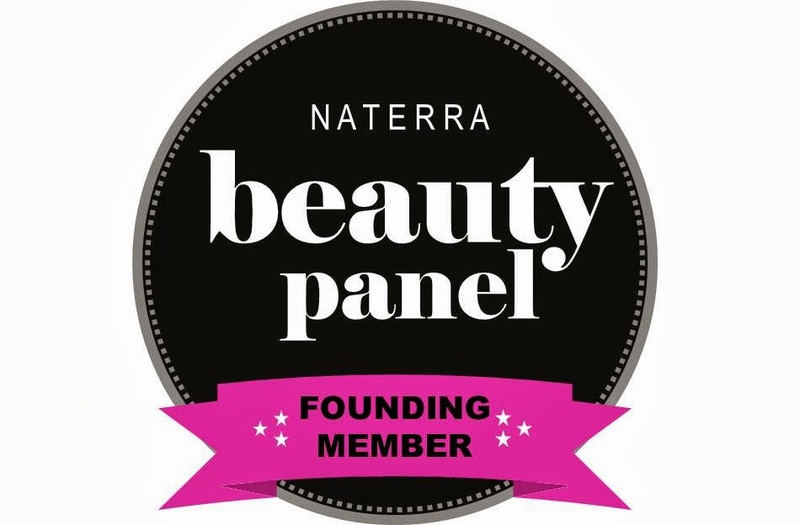 This is a product that truly deserves a pat on the back! Disclaimer: I received the product described below at a reduced cost or free of charge to facilitate this review. All opinions are my own. I spend close to half of my day in my car driving from one place to another and just like many others out there, my phone is my best friend. It is my lifeline to my family, my GPS, and my way to communicate while I am just flat out bored when driving. I quickly realized that I can not use my phone for GPS, let alone see who is calling with the phone sitting in the seat next to me or flopped sideways in my lap. That is where CJs Dash Mate cell phone vent clip came to the rescue. 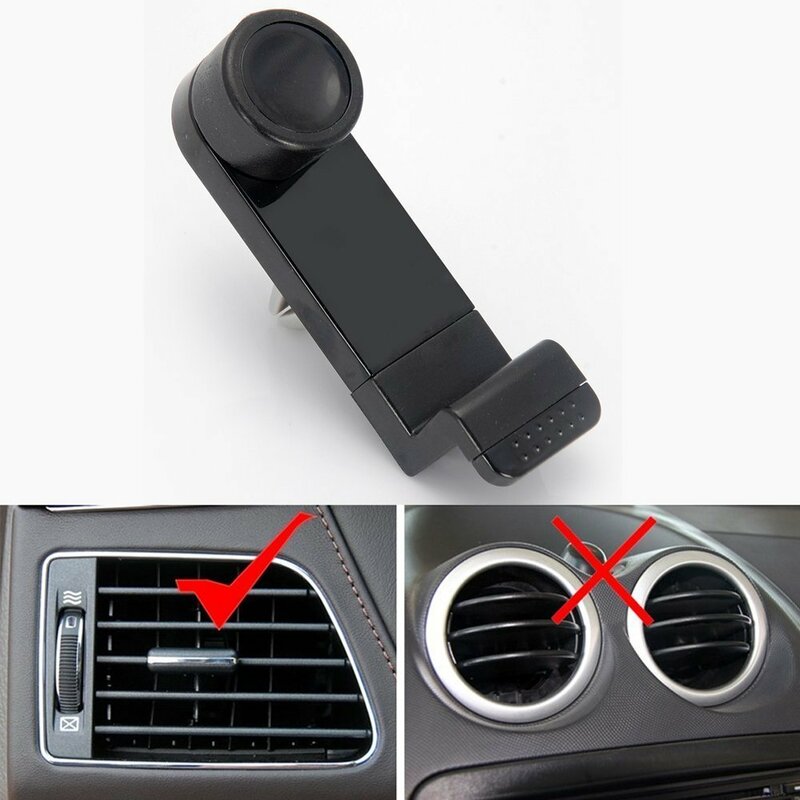 The Dash Mate easily just clips on to your heater vent and voila, phone is right in front of you! It just does not get any easier than this! Oh wait, yes it can. It is readily available on Amazon in frustration free packaging and it will not cost you an arm and a leg to purchase it from your big box cell phone store. It fits most phones 2.5 to 3.5 inches wide, which happened to include my Samsung S5. That means most smart phones. I am pretty sure it would not hold my Samsung Note, but it has a waterproof commuter case and a belt clip. I think I would need a small monster to hold that phone anywhere. Leave me a comment telling me how often you are in your car or if you have an upcoming road trip that you would like to use this for. One lucky reader will have a chance to win a Dash Mate of their very own. Surprise Thursday winner goes to . . .